22 years experience in Film and Television Production. Able to secure the technical and aesthetic wants of Directors, Producers and DPs. Exceptional organizational skills. Demonstrated expertise in moving crews to and from multiple locations. Maps, directions, contacts, and permits all organized and presented in an efficient and timely manner. Familiar with contracting laws, state and local regulations, permits, and how to cut ‘red tape’. Excellent communicator. Great with local property owners, managers, state and local officials and permitting agencies. Prepare folders, digital photos emailed. Always present quality photos and provide detailed notes. 20-year resident of Kentucky and Indiana gives me the knowledge of the small towns, back roads and residents. Self employed location scout and manager. Clients include: Ford Trucks, GMC Trucks, Universal Studios (3 months search for feature “Sea Biscuit”), “Dreamer” Paramount, “Breaking and Entering” feature (VSM Productions), UAD Films, Winton Dupont Films, Atlantic Records, PAX TV five city shoot, Stevens, Reed, Curcio Agency, Pfizer Chemicals, Kentucky Farm Bureau Insurance, Maxim Magazine, Newsweek Magazine, Federated Department Stores, and many more. Prepared over 50 folders for “Sea Biscuit.” Digital stills e-mailed, maps and directions prepared. Locations secured, contracted, and managed. Found major locations for “Dreamer”. 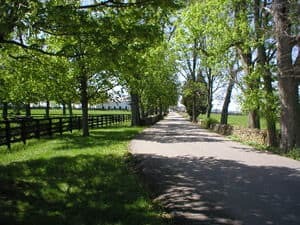 Production moved to Kentucky from Louisiana as a result. Work well with both Indiana and Kentucky Film Commissions. I turn the initial “No” into a “Yes” and get the location! With 22 years experience in film and television production, and a lifetime of still photography, I can tech scout for DP’s and Gaffers. Quick turn around, accurate and understandable information. Clear photos. Constant accurate communication. Producer, Writer, Director for number one station in Kentucky. Responsible for production from script to air. Won 3 local “ADDY” awards, and one regional "ADDY"' for local :30 commercials. Supervised a crew of 4 during productions, adhered to strict deadlines, maintained budget, estimated and billed spots. Met with clients, developed creative cost effective solutions for television advertising. Producer, Writer, Director for one of the South’s largest production houses. Shot and edited commercials and programming in central Kentucky. Traveled extensively throughout Kentucky. Gained great knowledge of rural areas and horse breeding industry. Won an “Eclipse Award” for horse racing documentary “Born To Run”. Traveled with ABC Sports as handheld camera for 2 seasons. Director, Writer, City of Madison, Madison Wisconsin. Developed a grant-funded program to produce training programs for city workers. Researched technical material and translated into understandable scripts. Maintained grant funding with reports and detailed records. Budgeted and billed interdepartmentally. Developed great professional relationships with city workers and department heads. Shoot 35mm film, 16mm film, video, HD video, digital, 35mm, large format still. Write, direct, produce: 30-second commercials, training and sales presentations. Basic Computer skills in Microsoft Word, Excel, Adobe Photo Shop. Woodworking, metal-working and welding skills. I have restored a historic 1917 home. I volunteer for Habitat for Humanity and Community Montessori School. University of Wisconsin-Madison, BA in Film Directing. Post degree credits for a MFA in Film, University of Wisconsin. Post degree credits at University of Indiana S.E. in Education.